My dad taught me that, too! It works! 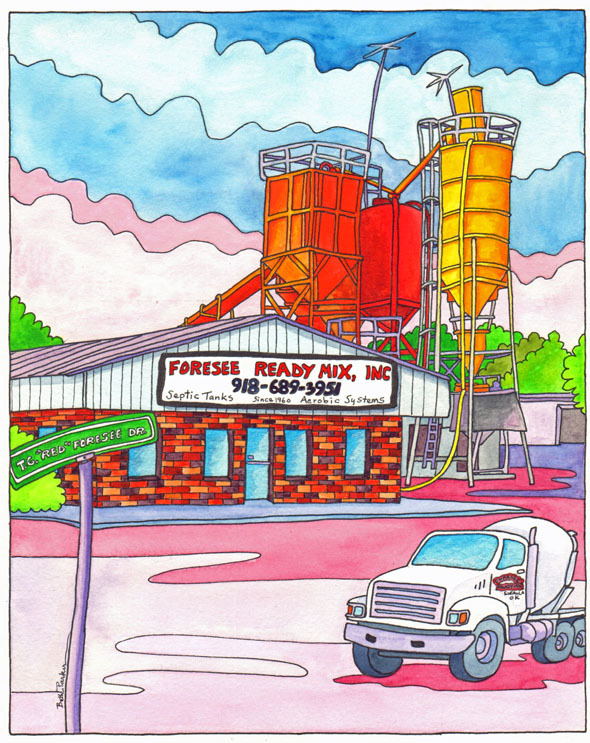 This painting was commissioned by Kathy at Foresee. The last time I painted this property, the client wanted more of the land and buildings in the painting. I finally convinced her to bring it in, but not by much. After she had an opportunity to see some of my other building portraits, she asked me to do another one… real up close and colorful. This is the new one. The first one is here. Rudolph Giuliani, the controversial former mayor of New York City, took the national spotlight after the events of September 11th, when he stood strong, pulling the city together, which garnered him the Person of the Year accolade from Time magazine. He was born in Brooklyn on May 28, 1944. As mayor, he presided over a massive urban redevelopment and implemented the “broken windows” policy, which cracks down on small crimes to deter larger ones. After his term as mayor ended, Giuliani founded an investment and consulting company. He remains heavily involved in American politics and ran for president in 2008.